2 years ago I was here with my coursemates and I knew my family will love this place as much as I did. 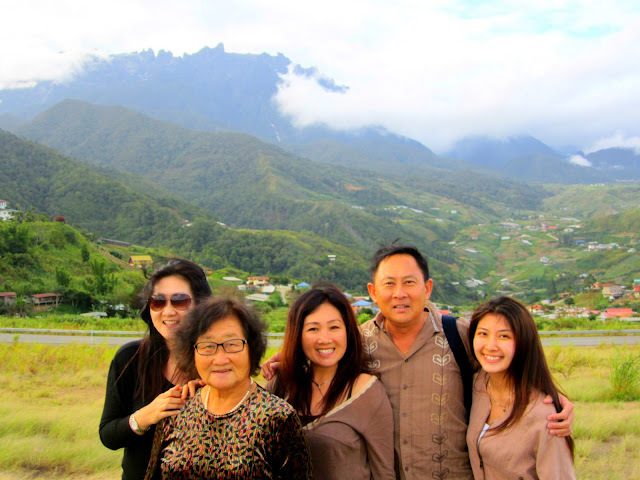 So now they are here to see this God's masterpiece - Mount Kinabalu ! 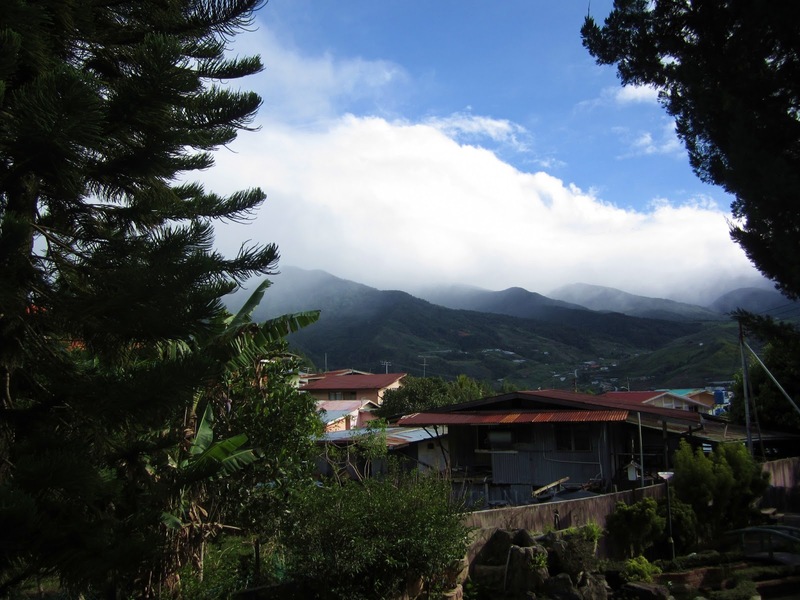 See the uneven curve of the mountain top? 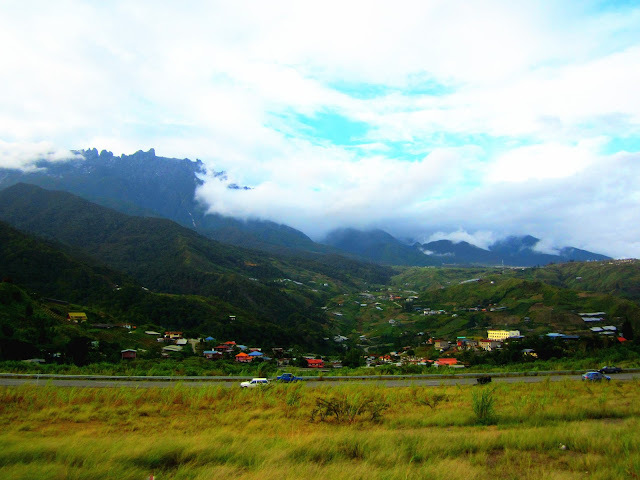 That's the peak of Mt Kinabalu. Therefore it is easily spotted from different places in Kundasang. Aunt, grandma, mummy and daddy are my travel mates this time. Jomeng is not here because he can't take a leave off work. 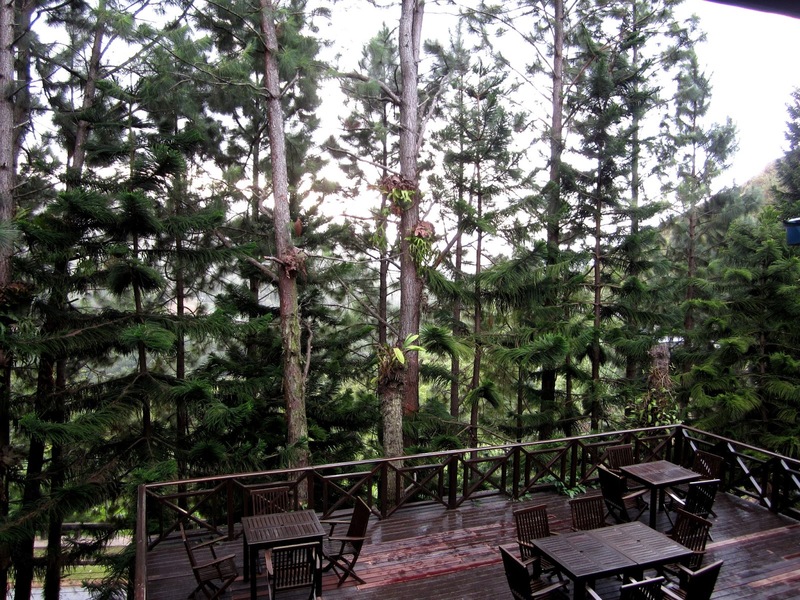 Soon, we checked in to Kinabalu Pine Resort. 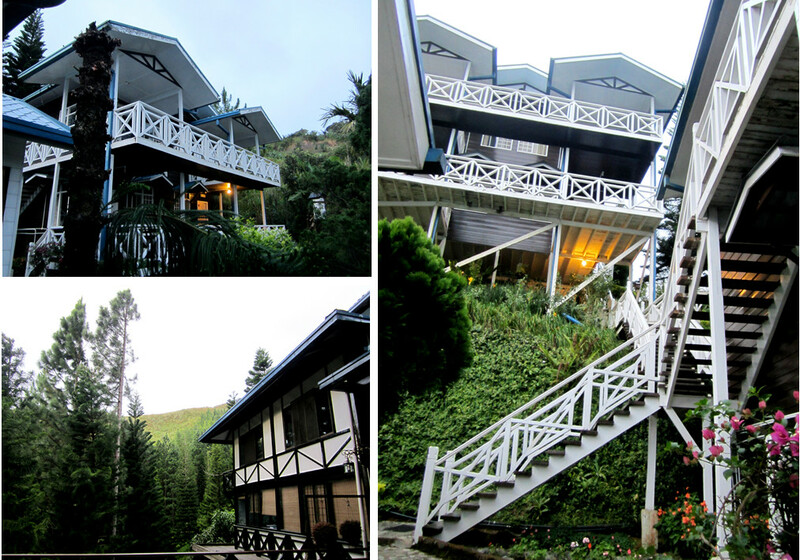 It is located 15 mins drive from Kinabalu Park and all the chalets which are surrounded by tall pine trees and have a great view of Mount Kinabalu. We just relaxed ourselves and walked around on the first day while enjoying the cool breeze. Spectacular view from the balcony. Can't wait to take in super fresh air in the morning while peninsular is suffering haze problem recently. The sky at Sabah turns bright around 6am everyday and I noticed that there are more stars in the sky at night compared to peninsular Malaysia. Get yourself a hot sulphur spring bath at Poring. The hot water of the spring is piped into open aired baths. 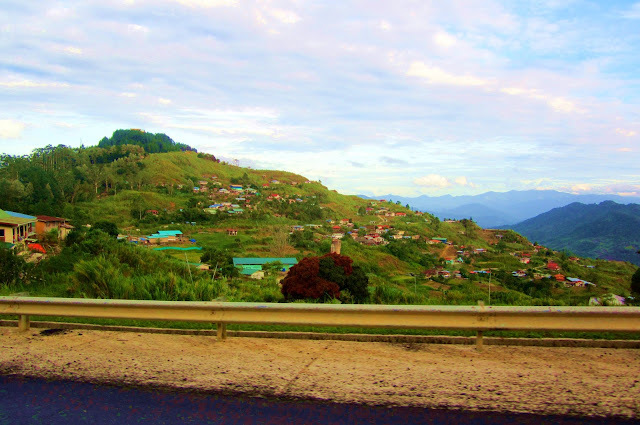 This place was first developed b the Japanese during World War II. You can control the water temperature by adjusting the volume of cold and hot water taps. I didn't get in the bathtub as I think it is not very clean ( a bit germaphobia). So I just sat aside and watched my family soaked into hot spring. 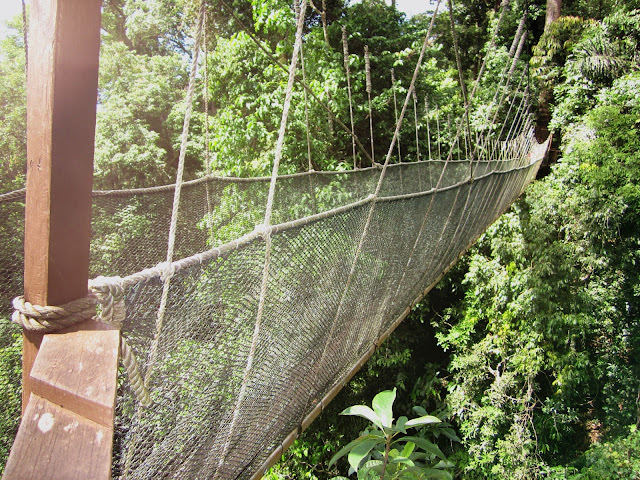 Canopy walk is much preferable. There are total 5 suspension bridges and it was quite exciting especially it shakes when you walk along. Haha. Each suspension bridge can only support 6 person but not very high, likely 8 floors from the ground. 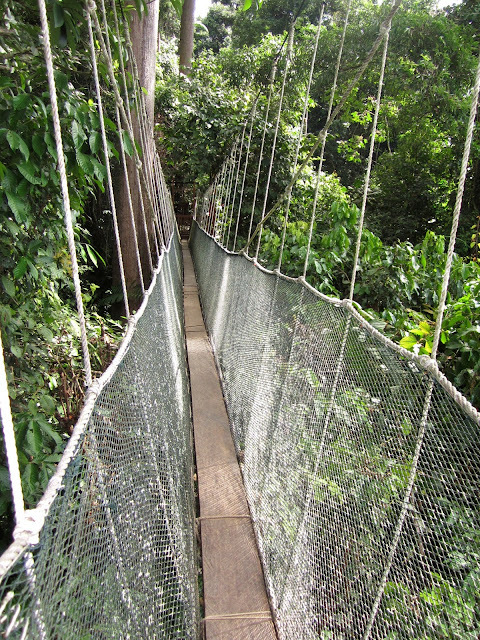 If you want to experience an easy and not tiring jungle trekking, canopy walk is recommended. Thats all for today. There are still a lot of stories from Sabah but I am too lazy now. I haven't pack my luggage for Cambodia tomorrow. Ahh..lazy to move. Actually I am not well prepared for Cambodia trip. I don't have a timetable. I just wanna see Angkor Archaeological Park. So, I just tell my mum it's going to be a relaxing trip. Haha lame excuse. Oh friends, I found a job already. Starting on the next day after I come back from Siem Reap. Hopefully I can cope with that. Anyway, I will still play to the max during the trip! Chao!